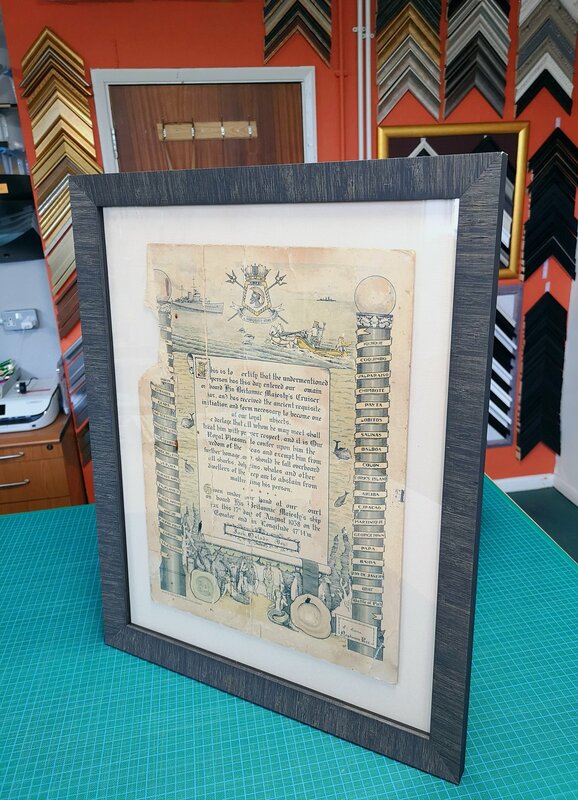 This blog will give you an insight into some of the items we’ve framed, and there story. As well as some of the art that we are creating ourselves. Welcome to Crayford Picture Framing Blog. We will give you an insight into the pieces that we are framing and there story. We will also share with you some of the art that we are creating ourselves. Today we were tasked with framing memories of a grandfather and navy man. Memories that his grandson felt needed conserving for future generations. 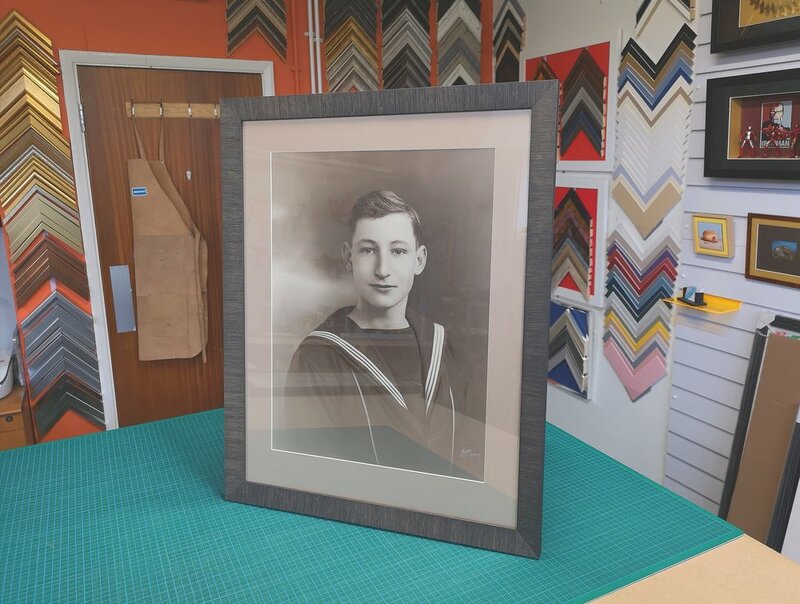 A charcoal, Textured, wood moulding was chosen by the client to frame a Navy certificate and a large military photo of he's grandfather wearing he's navy uniform, which we agreed complimented the items beautifully. The certificate was also shadow float framed, which is a technique we like to use when we don’t want to put a mount over the top of a piece, usually where it would detract from the item. We feel that this method has helped showcase the age and character of the certificate, complete with raw edges. Using the same moulding as the certificate we also framed an old photo of his grandfather as a young boy, which gives a nice background to his story. Our client was happy with the finished pieces, and I’m sure they’ll be around for many years to come, a constant reminder of a past relative and his achievements, from a young boy to Navy veteran.